Our stunning dainty Edwardian Shelf Bracket features a stunning original scroll design and is perfect for smaller shelving. Cast From An Original Antique Edwardian Bracket. High Quality Handmade product that will last a lifetime! Solid Cast Iron powder coated in a lovely long lasting finish. 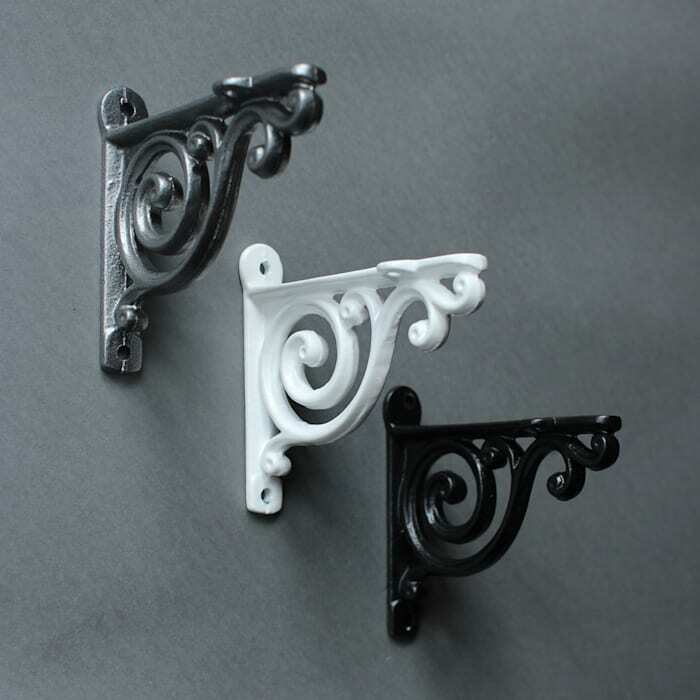 All our cast iron brackets are made in the UK using the best quality cast iron.